A woman carrying a flask in her boot, Washington DC, 1922. When it comes to female names in bootlegging, you’re more likely to see them attached to a boat than to an actual human being. Helen G. MacLean, Nellie J. Banks, Rosella, Isabel, Stella and Josephine—these are ships, not people. Protecting the virtue and moral purity of fragile, delicate women appeared to be on the forefront of prohibitionists’ minds. But the women weren’t just wallflowers. Some were making their political mark and finding their own voices. On the one hand, there were the lady-teetotalers of groups like the Women’s Christian Temperance Union, who fought for decades to make the demise of booze a reality. Creating libraries and orphanages, and fighting for women’s rights to vote, these women saw the end of the drink as a proto-feminist issue. They were protecting wives and children from angry drunks, and making sure families had money for food, rather than beer. And with successive restrictions on alcohol—capped by a sweeping wartime federal ban in 1918—they succeeded. The war ended, but prohibition in Nova Scotia continued. Said inspector, Clifford Rose, writes in his autobiography, Four Years With The Demon Rum, he had caught Nicholson red-handed during the late ’20s. 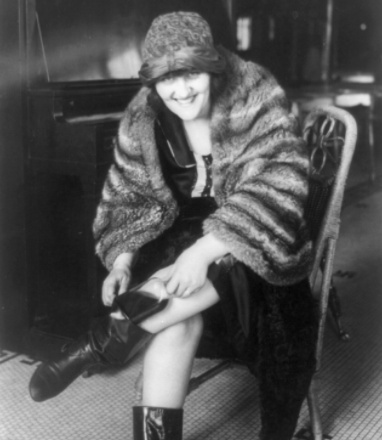 She was a “savage and cruel” local bootlegger with an “obscene and profane tongue,” writes Rose. 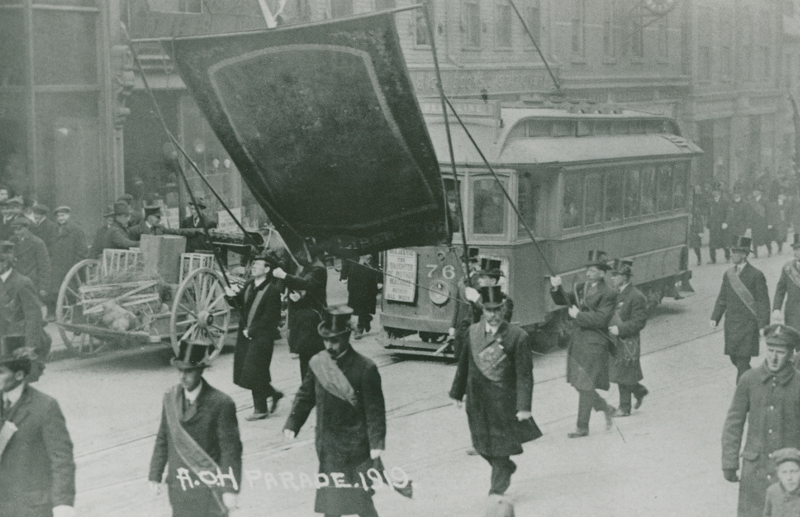 The Ancient Order of Hibernians marches in the 1919 St. Patrick’s Day parade. The roaring ’20s may have been a non-stop party for America’s wealthy, but a regional recession in Nova Scotia at the time meant fishermen were looking for easy money. Enter rum running. Legal, illegal, exports, local sale—it all meant money. Nicholson, Forbes writes, was the child of a Springhill miner. One of nine kids who started supporting her own children by going into booze. She was “smart at selling rum and hard to catch,” writes Rose—usually hurting her own hands smashing bottles of rum to pour down the sink. On the day she was caught, Rose finally pinned her with some evidence. After a 1929 plebiscite, Nova Scotians got their booze back. But for years, rigorous laws around government-controlled liquor meant it was still pretty difficult to have any sort of public alcohol-related fun. Drinking was mostly relegated to homes or private clubs. It wouldn’t be until 1948 that restaurants could serve beer or wine, and only if they weren’t forbidden by a local plebiscite. In 1961, the Liquor Control Act meant that women had new drinking options like cocktail lounges, and they could join men in taverns if they stayed in “ladies beverage rooms,” writes historian Greg Marquis. These were separate sections in taverns for women and their male escorts. The first beverage room in Halifax opened in 1963. “Women drank at home in many circumstances,” says historian Shirley Tillotson. But drinking in public had an air of immorality for the women who wanted to be considered respectable. Times have changed, but some of the laws haven’t. Technically, 105 communities in Nova Scotia under old prohibition-era laws are still “dry.” On a Thirsty Thursday last month, the province announced those laws were up for review. In a testament to how much has changed, many women in Nova Scotia didn’t even notice. For most of us, it was another night working behind the bar, plotting our next trip to the Dome or eating sliders at Stillwell. Laughing and dancing and ordering another round.